First look at the Byking-developed action game. My Hero Academia: One’ Justice will launch for PlayStation 4 and Switch in Japan in 2018, Bandai Namco announced during a Jump Festa 2018 stage event, where it also debuted a teaser trailer and two minutes of gameplay footage. 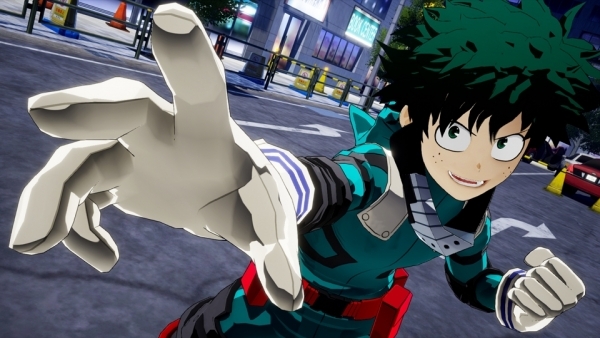 In addition to previously revealed playable characters Izuku Midoriya and Tomura Shigaraki, Bandai Namco announced that Katsuki Bakugo (voiced by Nobuhiko Okamoto) will also be playable. He is featured in the gameplay footage in a battle against Izuku. The company also revealed that the game runs on Unreal Engine. My Hero Academia: One’s Justice is a battle action game featuring “realistic stage destruction” through the use of superhuman powers called “Quirks.” Read up on everything we know about the game so far here. While a western release has yet to be announced, Bandai Namco has filed trademarks for “One’s Justice” in the United States, Canada, and Europe. Watch the teaser trailer and gameplay video below.